Hardwood is simply one of the most beautiful flooring materials available. It is a classic choice and has remained popular through the years for its natural elegance, warm tones, and durability. If you have hardwood flooring, you will want to make sure it lasts. While it is naturally durable, there are some important maintenance tips to keep in mind. Scraping and scuffing will eventually wear down hardwood flooring. Excess dirt and water can also cause damage especially in garage. People tend to buy red oak hardwood strip or hire flooring contractors for the garage flooring during winter season. To make your hardwood flooring last as long as possible, there are a few simple ways of protecting it. Strategic rug placement – Dirt and other grit tracked in on shoes can really scuff up hardwood. Placing rugs in doorways, especially entrance areas are a great way to capture grit before it gets tracked in. High traffic spots are another great place for area rugs. Furniture protectors – Place protective pads on the feet of your furniture if they do not already have them. This will minimize scratching when you move the pieces. Clean up spills as soon as possible – Since water is one of the main enemies of wood flooring, it is important to clean up any liquid spills as soon as you can. Protecting against damage is only half the job of maintaining your flooring. You will also have to clean regularly. You will need to choose your cleaning materials according to the way your hardwood is finished. Different types of sealants and treatments require different care. Surface sealed – Poly-acrylic, urethane, or polyurethane sealants are all types of surface sealant. Sweep or vacuum first. Then you can use a damp mop with regular hardwood cleaning solution. Surface sealed hardwood is somewhat more protected against water, that’s why it’s okay to use a damp mop – although you still want to avoid getting it too wet. Non-surface sealed – This refers to unfinished wood, lacquer, shellac, varnish, oil seals, and penetrating seals. 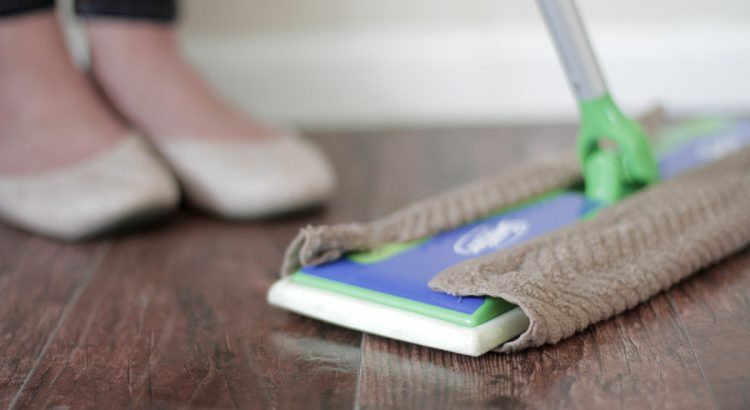 Sweeping and vacuuming is as important as ever, but you want to avoid moisture – even damp mops. Once a year, strip away the old wax. You can use hardwood wax stripper or mineral spirits. Then re-apply fresh wax with either a paste wax or liquid wax. Sweeping and vacuuming – No matter how the wood is finished, it is crucial to remove dirt and grit before it scours the wood. The best vacuum attachments for hardwood have brushes or felt to avoid scratches. Bare plastic components can end up scratching the surface. Microfiber – Microfiber cloths are great for cleaning hardwood floors. They can be used to soak up liquid spills and sweep up dust and dirt. They are super-soft so they minimize scratching. As an alternative to damp mopping, you can use a spray-bottle and a microfiber cloth to clean hardwood flooring too. Cleaning products to avoid – Large amounts of water and wet mopping can cause water damage. Steam, vinegar, bleach, and ammonia cleaning products should also be avoided for hardwood flooring.